After recently completing a competitive tendering exercise, MWGM have been successful in winning a contract with Essex Partnership University Trust (EPUT). Mark Walker Grounds Maintenance has worked for the trust since 2014 building a strong relationship with site staff and members of management. We came to the end of a 5 year contract and managed to be successful with winning 2/3 lots for the new contract which starts in March 2019. The new contract is 3 x larger, and has allowed us to establish 2 more depots. Essex Partnership University NHS Foundation Trust (EPUT) was formed on 1 April 2017 following the merger of North Essex Partnership University NHS Foundation Trust (NEP) and South Essex Partnership University NHS Foundation Trust (SEPT). EPUT provide community health, mental health and learning disability services for a population of approximately 2.5 million people throughout Bedfordshire, Essex, Suffolk and Luton. They employ more than 7,000 staff across 200 sites. Everyone at Mark Walker (Grounds Maintenance) Ltd would like to wish all our Clients a very Merry Christmas and a Happy New Year. Our offices will be closed from Monday the 24th of December until Thursday the 3rd of January 2019. During this time, calls will be monitored by an on-call manager. 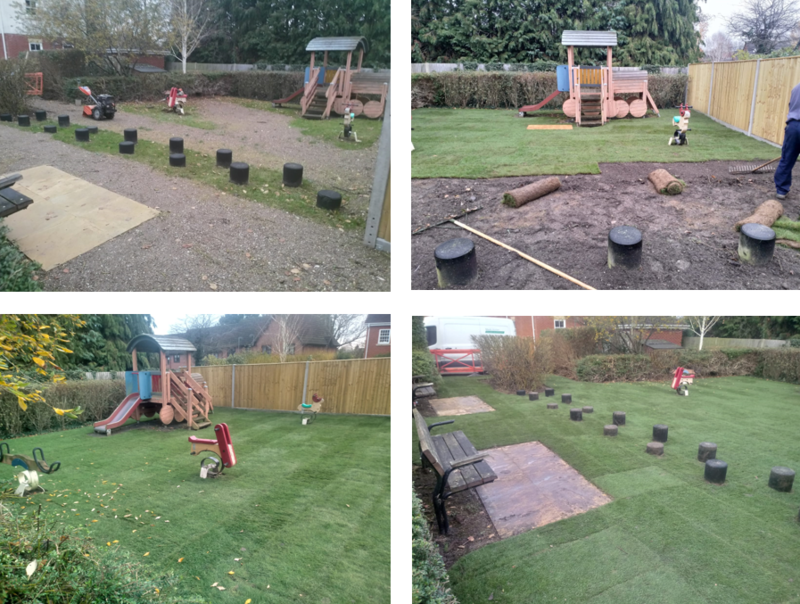 Recently we were asked by one of our estate management clients to re-turf a play area on a site we maintain in Hampshire. Due to the poor quality of the soil used by the landscaper when the site was developed, the grass had died and revealed stones which posed a hazard to the local children. MWGM sent their Landscape Projects Team to spread 4 tonnes of topsoil and lay 160 sq./m of new turf. This was all completed on budget and within the estimated time allowed. Feedback from our client and local residents has been positive and the playground is once again full of happy children. With the cold weather looming we have recently taken delivery of 4 additional gritter units to be fitted to some of our vehicles. In addition to this we have had our first of several white salt deliveries to our main depot in Welwyn Garden City, these will then be distributed to our depots in West London, North Essex and Cambridge. Last year we spread over 300 tonnes of grit across 200 sites ranging from high secure mental health hospitals, universities, schools, NHS sites, corporate clients and many commercial offices. Using the latest weather monitoring systems, our Operations Department schedule teams to attend sites on a vary of trigger points. All of our vehicles are tracked, and operatives record their visits on a Proof of Delivery handset, sending “real time” data to our office and clients. 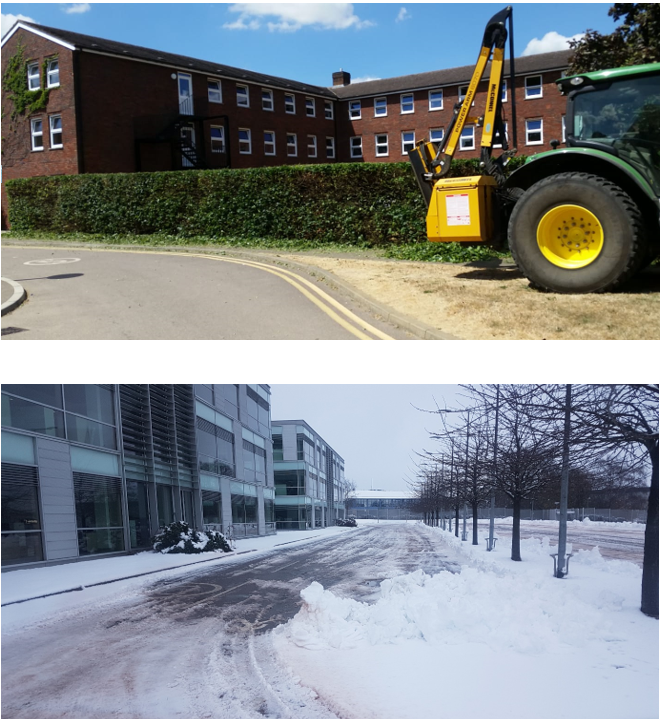 This provides our clients with peace of mind that their carparks and paths will be gritted and safe prior to their staff arriving for work the following morning. All the necessary risk and method statements are tailored to each site ensuring that our clients are fully protected. Having won various new gritting contracts in Cambridgeshire and Hertfordshire, these additional gritters will help extend our coverage area and provide us with flexibility. The John Deere is Here! Earlier on this year MWGM invested in a new John Deere tractor. This new addition has the latest technology and despite having more power, is actually more efficient. Having this tractor has made us more competitive when tendering for new contracts and has helped complete current planned maintenance tasks more economically. After recently completing a competitive tendering exercise MWGM have been successful in winning a contract with Community Health Partnerships. Community Health Partnerships (formerly Partnerships for Health) is a Department of Health (DoH) owned company in the United Kingdom. Its role is to set up public-private partnerships to invest in new healthcare facilities in England via the NHS Local Improvement Finance Trust (LIFT) programme. The company was established in 2001 as Partnerships for Health (PfH), a joint venture between the DoH and Partnerships UK. In December 2006, the DoH acquired the full shareholding of PfH and it was renamed Community Health Partnerships in November 2007. Its current portfolio is over 300 buildings which directly benefit the public by offering modern, well designed health care facilities. These range from NHS Foundation Trusts, GPs, Dentists, Pharmacies amongst others. This new multi-site contract will help strengthen our presence in the north west London area, and we are looking forward to starting to work with CHP within the next few weeks. WOW, what a busy few months!!! It’s been a busy few months here at MWGM, having commenced new contracts, buying new vans and equipment, and employing new staff. 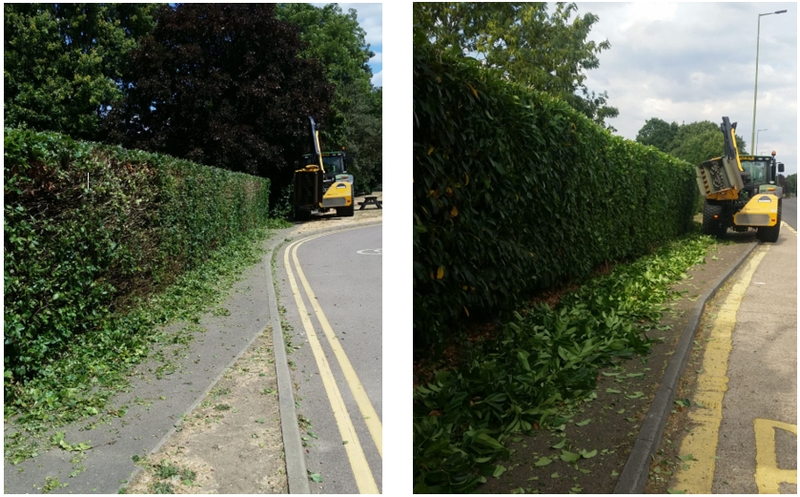 Having won a significant new multi-site contract spanning from Lincolnshire down to Kent and across to Oxfordshire, this has further increased our coverage area across the South-East. Please have a look at our coverage map and get in touch if you are requiring an experienced grounds maintenance company to service your sites. Success continues on the south coast having commenced new contracts with existing clients. This mix of commercial and residential sites are located around Bournemouth, Portsmouth, Southampton and Chichester. These new contracts have created an opportunity for an apprentice who will be working from our depot in Hampshire. MWGM care about the environment and have trialled an electric works vehicle over the summer. Feedback from staff has been positive and internal studies have proven the environmental benefits, we have therefore placed an order for our first electric plug-in vehicle. The new member to our fleet will be charged from solar panels situated at our head office. Keep an eye out for this new vehicle and it’s ‘eco’ livery. 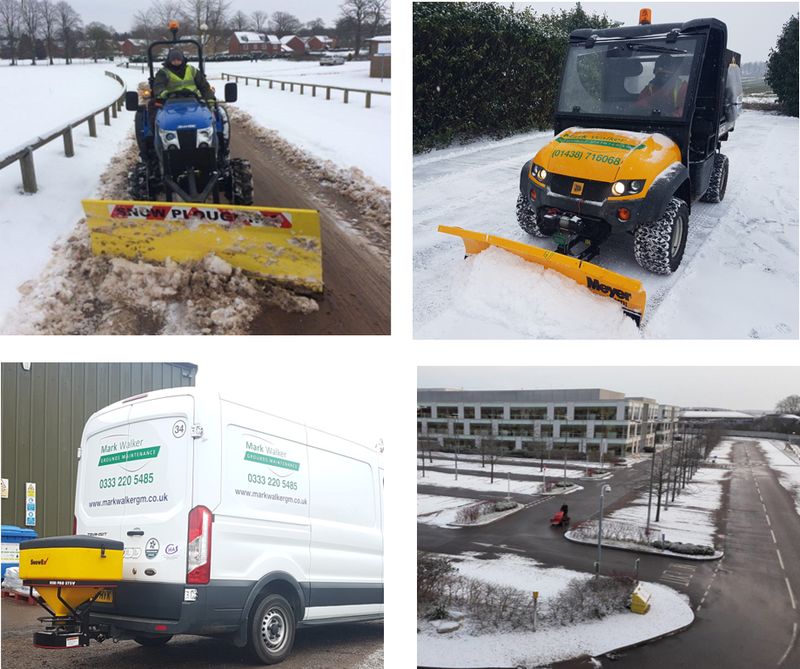 During December and over the Christmas period, often at night, our teams were called upon to snow clear and grit our contract sites for the NHS, Police, Education and other commercial clients. 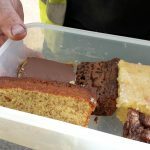 With these clients being extremely happy with the service we provided, many have recommended us to other premises which has led to numerous enquiries and, in turn, new contracts. 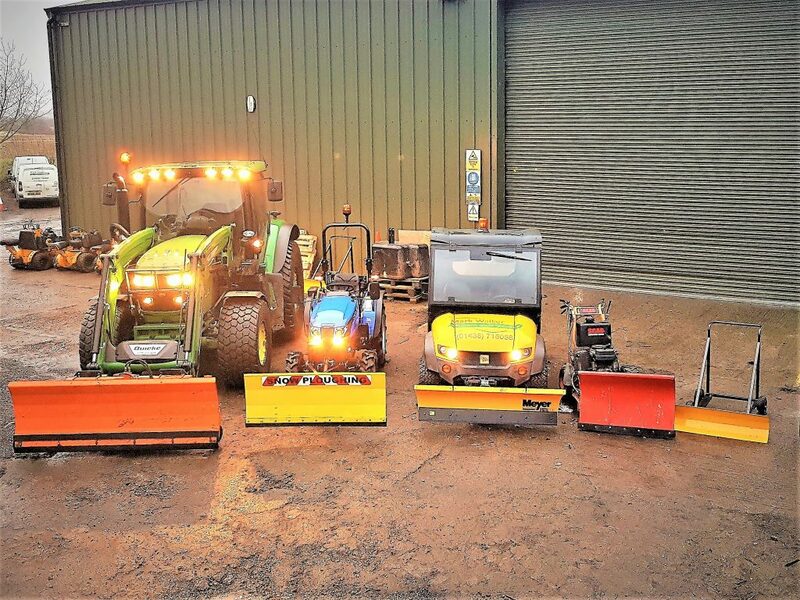 We have therefore invested in additional snow clearing equipment to complement existing machinery and have taken delivery of a compact tractor and ATV (all-terrain vehicle) that are able to get to areas quickly and effectively. We have the equipment, resources, and experience to help ensure your site remains open and operational, 24/7. If your current gritting and snow clearing arrangement have not proven effective please contact for a quotation. This Christmas we have chosen again to send electronic Christmas cards to customers and suppliers and donate the money typically spent to Willow Foundation and Cancer Research UK. We will be closed from Thursday 21st December and will return on Tuesday 2nd January. Access to emails will be limited in this time and we will respond on our return. 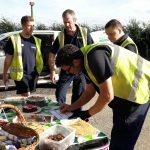 MWGM held their first cake sale in aid of the Macmillan World’s Biggest Coffee Morning. 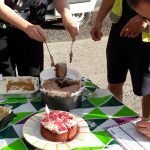 All cakes were home-baked by the team and included Rocky Road, Rhubard Crumble Cake, Lemon Drizzle, Banoffee and much more. We raised an amazing £180.60 with the best baker badge going to Harrison for his gooey Chocolate Cookies. As the £’s came in, the lb’s went on!